What a rich and grand time I have had in London. Today I tried to shop but could find nothing in the Harvey Nic’s or Harrods’ sales. Police lines eye off the peace demonstraters who had nothing to do with the spending cuts demos. More interesting were the double rows of police ringing Parliament House and the 12 vans of police parked along Westminster Bridge one and a half hours after the demonstration had finished. I even got a tall copper to take a picture of the ranks for me because I am too short. Then gracious Abi took me to dinner at the Savoy Grill and off to see Dominic West play a shambling academic, Butley, at the Duchess. What an actor, from The Wire to this. Last night when I came home I saw a fox wandering along the Southbank. Amazing. And the sushi chefs at the local Yo Sushi are both Pakistani. Good cross cultural snapshot. The last challenge is to catch the plane to morrow. Airport lounge free wifi (pointy end again). I have made it this far. Tired after the kind of restless night one always has trying to make sure you wake in time. I still wonder why I have been doing a blog but hey, I’ve seen so much and had so many experiences, what a great way for me to recall them. Perhaps people write blogs for themselves, to order busy minds, to try and store the back files. It will be good when I put the pictures in. Perhaps it’s a whole new way of managing the mind. I hope my travels have afforded someone a moment’s pleasure. But I am going to keep going until I start to write again. Bless anyone who had the interest to read. I catch the #12 bus but have to change twice for no obvious reason except the vagaries of London transport. I am the only person on the bus with a copy of the Guardian. The rest are either talking on the mobile or to themselves. (OK I exaggerate but it seemed that way). 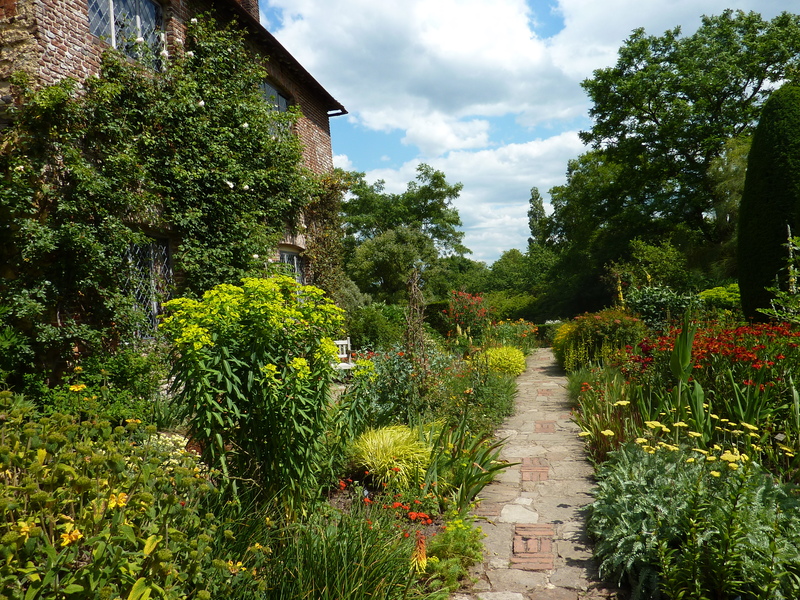 Jo picks me up near Peckham Rye and we drive to Sissinghurst. Finally I am to see Vita Sackville- West’s White Garden deep in Kent. Such anticipation. We arrive…. it’s closed on Wednesdays………what to do? What would any red-blooded Australian woman do? I found a shy young gardener and explained I was flying back to Australia in two days. She was very sorry but it was not possible…. 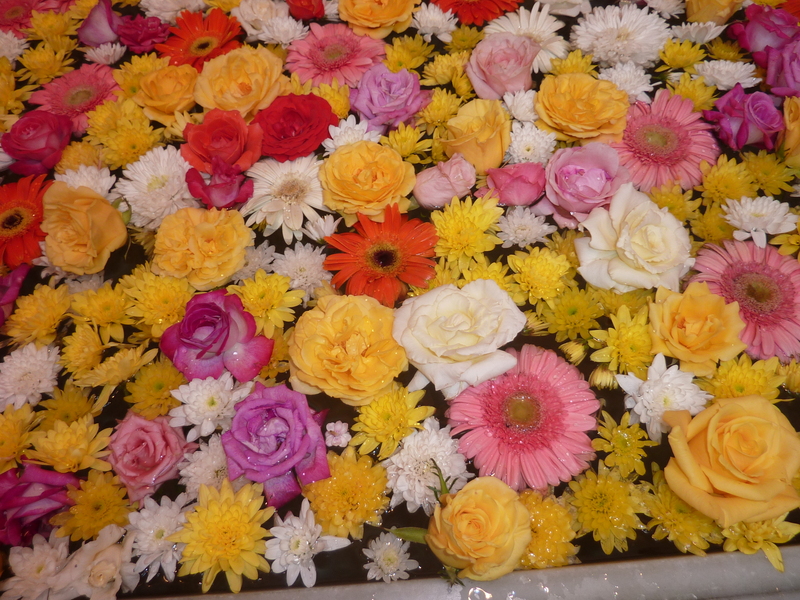 the garden was being maintained today…. there could be lawn mowers…. occupational health and safety issues…. volunteers on the loose…. no management around to ask…. they were on a course (of course). I used an approach well out of my usual repertoire. Persistent silence. It was all very awkward. 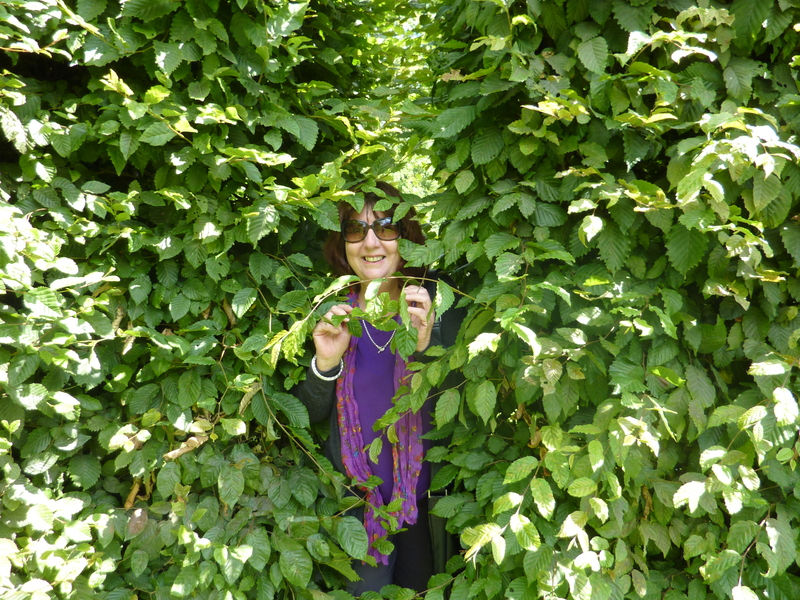 Finally with her unknowingly knowing, behind a gate marked Private I found the secret entrance in a hedge and lo! In the words of the constabulary….I perpetrated illegal entry. Jo worried needlessly for the gardener; I told her she had become too English. A very personal, private, somewhat shorter than it might have been, wander through the very beautiful gardens. The buildings themselves (based around in old castle of warm Kent brick) are architecturally charming. Back to London, a quick change and my first 15 minute watch of Wimbledon so busy have I been and then off to Corrigans in Mayfair. Food as good as a good but not great, Sydney nosherie. Service pretty average but the lime souffle with mascapone was a standout. The most serendipitous thing about the evening is that they had (and we drank) a bottle of Carmengeano wine from Cappenzana where I lived once in Tuscany and where Jo had come to visit. I have often searched unsuccessfully for the same. How will I wake up early tomorrow? It’s hard to talk about this town without talking about the town. I met Jo and we took a bus up the gracious curving sweep of Regent Street, slipped down a few side streets (including a Carnaby Street that bears no resemblance to its 60’s image) to Soho. We talked as old friends do over a lunch (and a bottle of Sangiovese) that proved British cooking can be some of the best in the world. Just a very trendy tapas bar really but eat your heart out Spain. Dehesa served for example, pan-fried sea trout with parsley and wild garlic crusted clams, braised courgettes, chilli and lemon. I have the menu if anyone would like it scanned. Then much later after the rain had stopped, to Oxford Street where with Jo’s encouragement and the wine, in one of those moments of rushing blood I bought a Paul Smith bag at Selfridges. It was too late and I looked too scruffy even with the new bag to attend a book launch and then supper with the Australian High Commissioner at my friend, Robert’s house at Islington. Must be getting old. Would never have passed up on that once. A long walk through the city again. On the way I saw a group of Syrians demonstrating outside Whitehall: “We do not want to be afraid” one placard said. 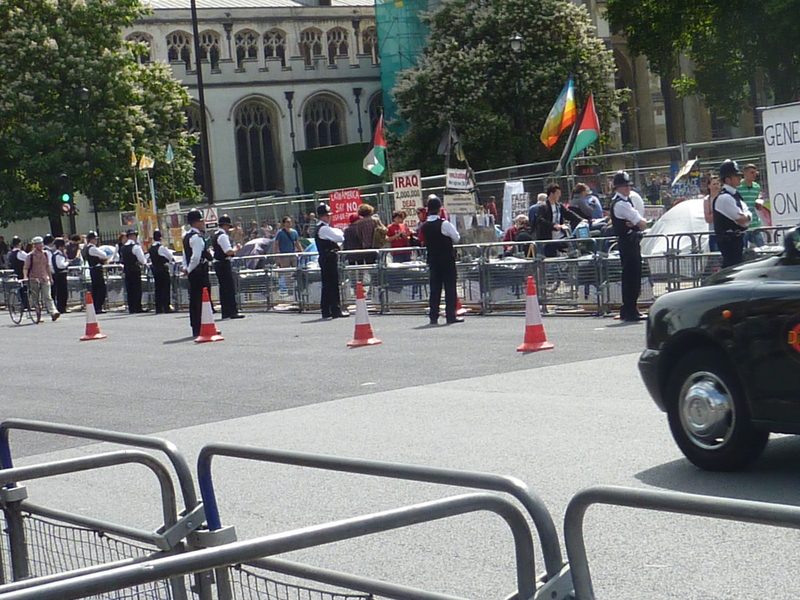 Down the road was the permanent peace protest with a dozen tents opposite the Houses of Parliament. On Thursday there is to be a strike here of all civil servants. Part of the problem is the proposed new pension scheme which will make people pay more of their salary into the pension fund while pushing out their retirement age. It is to be retrospective meaning people will lose much of what they had already accrued. It’s even alienating Tory voters. As to the schools, I am told there just are not enough places so some kids are schooled at home while the unis are increasing fees substantially and there will be no admission after interview…all merit now. Rocky times ahead. Back at County Hall (which is kitty corner over Westminster Bridge to the Houses of Parliament), I remember the previous time I was here. It must have been 25 years ago when I was a town planner and I had introductions to meet City of London planners here. All I remember is one tall, very skinny, long-haired eccentric chap – from memory he wore leather pants to work and was a wizard, who insisted I spend the weekend visiting the Chilterns with him. I didn’t. He was probably the second son of an Earl who now has the title. Only the upper classes were so eccentric; or so Evelyn Waugh would have us believe.